Dogs, too, can slow down with age. On the other hand, they may be slowing down due to pain or physical weakness. With this in mind, it’s important for you to have your dog visit a vet and look for signs of developing problems. Through this, you can easily find ways to improve your dog’s health, bring pain relief for dogs, and slow down the signs of aging. Like us humans, your dog can feel different kinds of pain. A particular pain often denotes a specific condition that needs to be treated as soon as possible. Swelling is often a symptom of a muscle tear in your dog. Normally, your dog’s muscles get stretched and pinched with normal activity. Their muscle structure, however, may get compromised due to different conditions, causing an inflammatory reaction that becomes chronic over time. The synovial fluid is one of the most important lubricants in a dog’s joint, and the lack of it is already a sign of old age arthritis, or osteoarthritis. 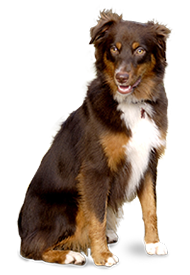 Among dogs, arthritis can affect their hips, knees, shoulders, and elbows. While the condition isn’t curable, there are ways that the pain and discomfort can be managed. Other than arthritis, your dog’s muscles can get stiff due to injuries and back problems. To know for sure, taking your dog to a vet is the way to go. 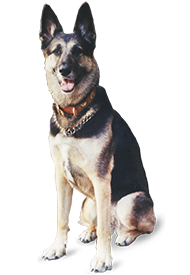 Afterwards, you can work with your vet to create an effective treatment plan for your furry friend. Perhaps one of the best ways to manage all these types of pain is through food supplements, particularly those with glucosamine. 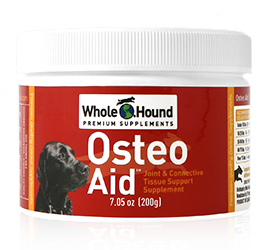 This ingredient helps in restoring mobility among dogs experiencing osteoarthritis.